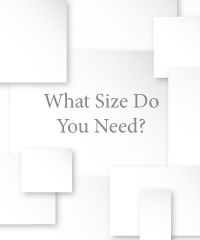 You need Printed Inserts but what size? 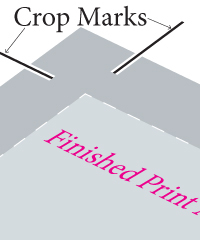 When we refer to the size of a Printed Insert, we are referring to the size of the finished sheet to fit in the pocket. For example, the front cover insert for our A4 25mm Ring Binder is 308x246mm. 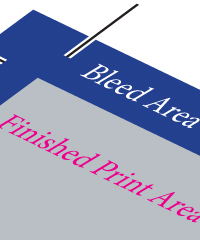 When setting up the artwork for your Printed Insert you need to add ‘bleed’ to all four edges of the sheet. We recommend 4mm of bleed added to all four sides. 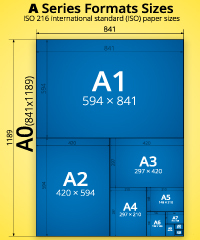 Therefore the overall size of an A4 25mm Front Cover insert would be 316x254mm. When exporting the artwork please ensure you add crop marks. The crop marks need to be set to the finished panel size, as they will be the marks we trim the sheets to. Please contact us if you would like help with this. Fancy Something Different? We make all the standard sizes, hundreds more special sizes and can make any custom size you require so contact us to discuss what you would like and we’ll get cracking on it for you.